It's February which means that parent teacher conferences are just around the corner! I wanted to share how I prep and get ready for PTC time. 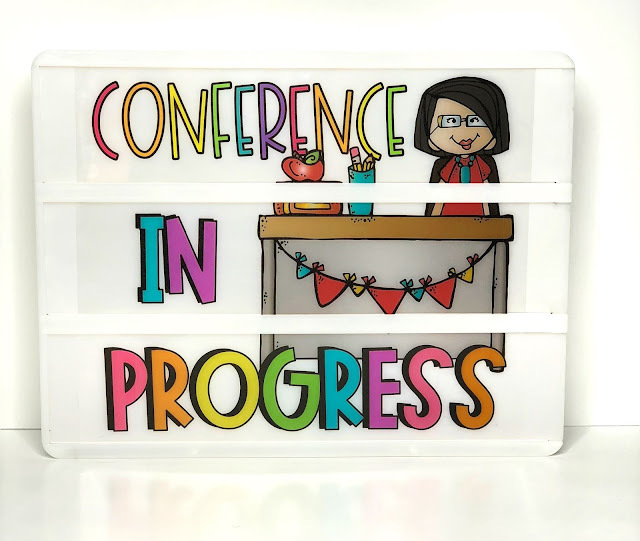 I like to have everything in one place to make it easy to go from one conference to another. We only have about 15 minutes with each family so saving time is crucial! I fill out five or so of these each day starting a couple of weeks prior to PTC's. This gives me a chance to provide thoughtful feedback for each child. I like to upload these to my Google Docs so I can edit wherever I am. This prevents me from having to save and send myself the file over and over again. You can also print them and handwrite the info. What I love about these reports is that they focus on positives as well as areas of growth. I try to focus in on one or two areas of growth, otherwise parents get overwhelmed and it's just not helpful. These conference reports give me the opportunity to get everything out on paper that I want to communicate with families. It keeps us on track during our short 15 minute conferences. Always start out with positives. This will help parents understand that you are on their side. I've seen teachers say all negative things and that is the best way to get parents to dislike you and not take your advice seriously. 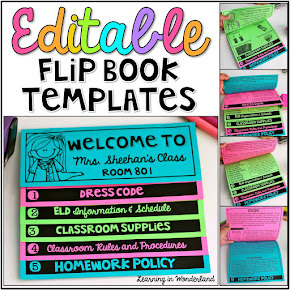 This flipbook gets handed out during curriculum night but we don't always have a good turn out that night so I save my extras to pass out during conferences. When I meet with families they often ask what they can do at home to help their child. These flipbooks are jam packed full of tips for parents. A Spanish version is included in this download and the text is completely EDITABLE! I make sure to save plenty of work throughout the quarter. I do this by sending home every other assessment. One week I send all the graded work home and the following week I keep the graded work in their mailboxes. You want to make sure you have lots of samples to justify all grades on the child's report card. You do not want to surprise parents by keeping all the work and have them see F's on their child's report card during the conference. They will question why you have not let them know their child was struggling. If you see a student is struggling, make sure to send graded work home and preferably give parents a phone call to let them know what is going on. Report card grades should not be a surprise. 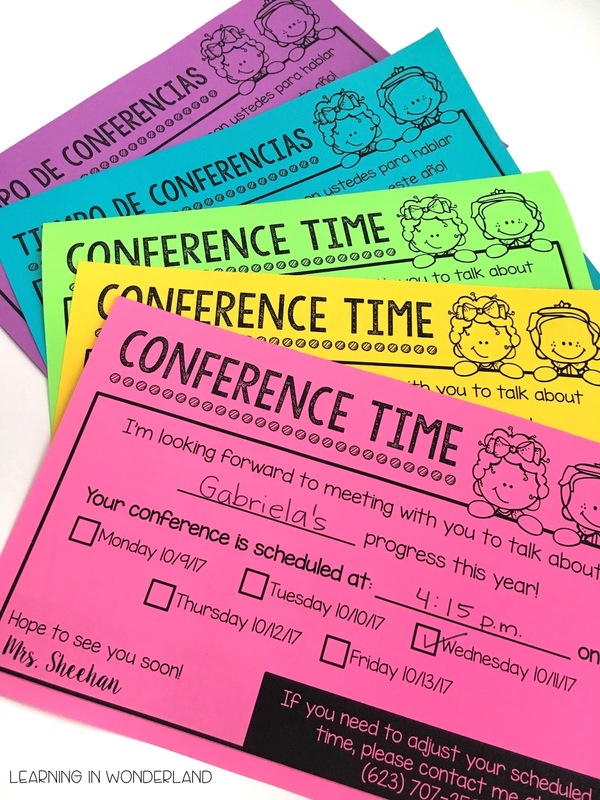 Prior to meeting I send a request for preferred conference times via Remind. 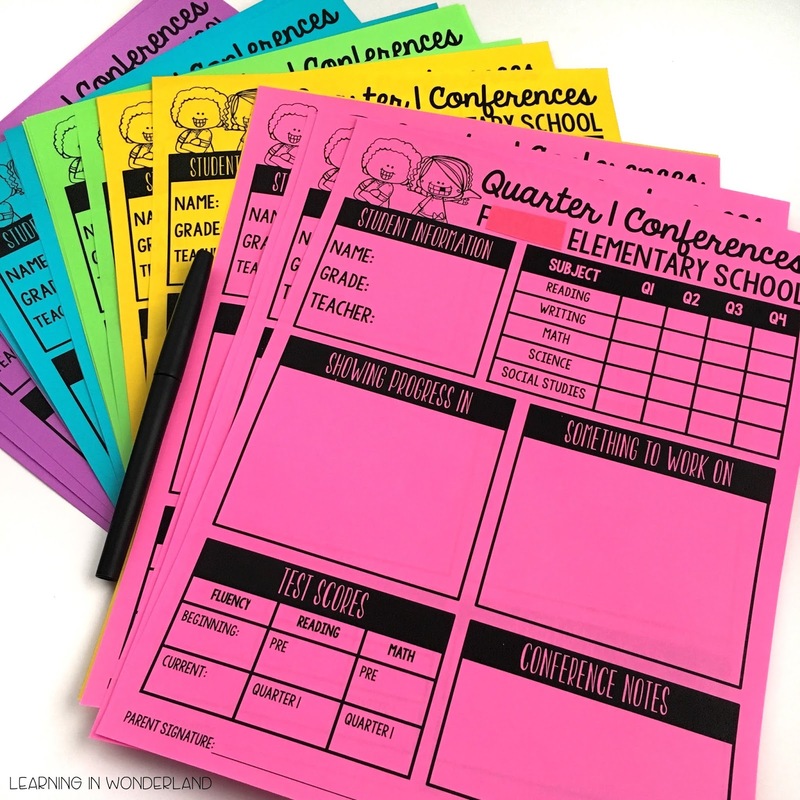 My school community is largely paper based so I send home some sign up sheets (my templates are included in my PTC bundle) for the families that have yet to sign up. Once they have signed up I send home the reminders. 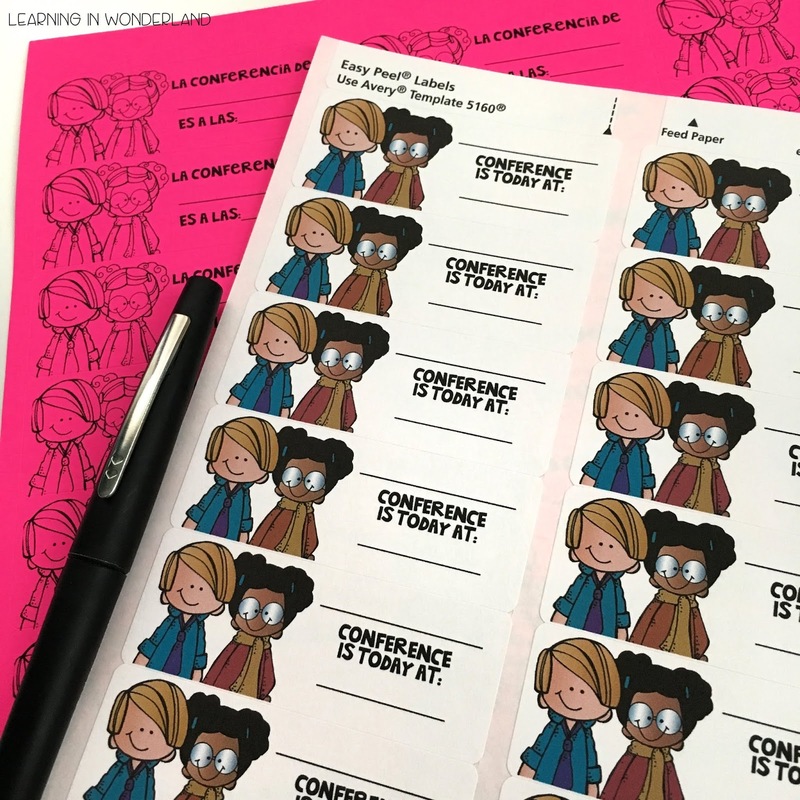 On the day of each child's conferences, I pass out these stickers with their names and scheduled times. For some reason my kids are excited to get these and that helps them remind their parents. I use that to my benefit! I made some conference lightbox inserts last fall and included them in the file. 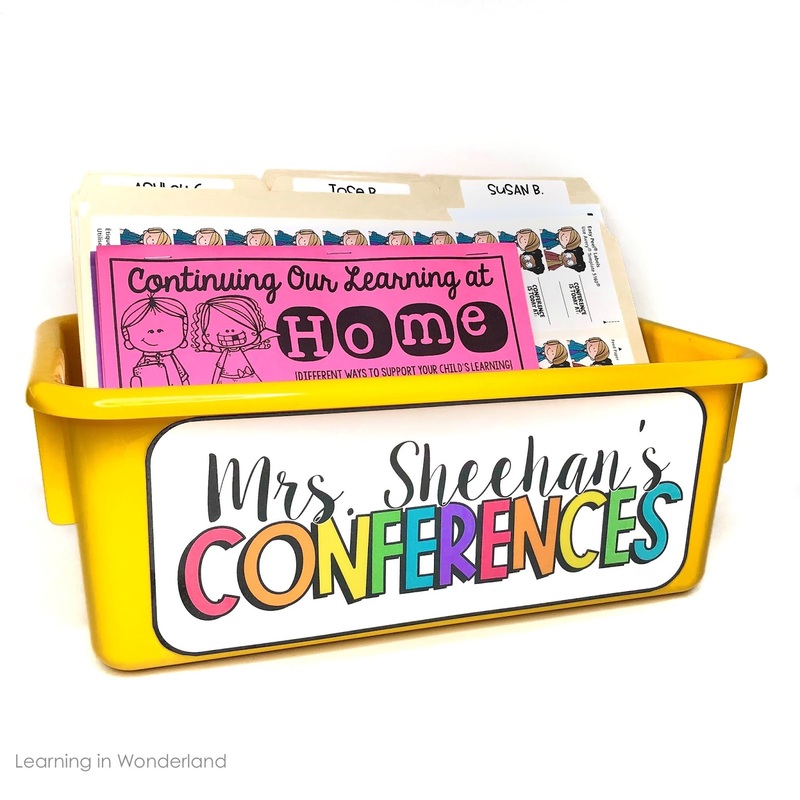 They are perfect to have outside your classroom. 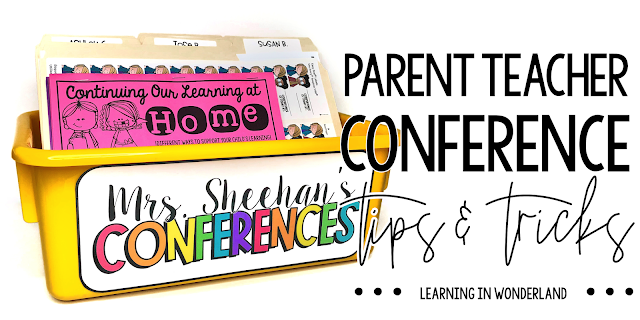 You can turn the light on to let parents know that there is a conference in progress at the moment. Last, but not least, I use a conference sign in sheet to keep track of all the parents that did show up for their scheduled time. We are required to meet with 100% of parents. We call or make a home visit with parents that do not show up. Teachers then submit their sign in sheet to admin. 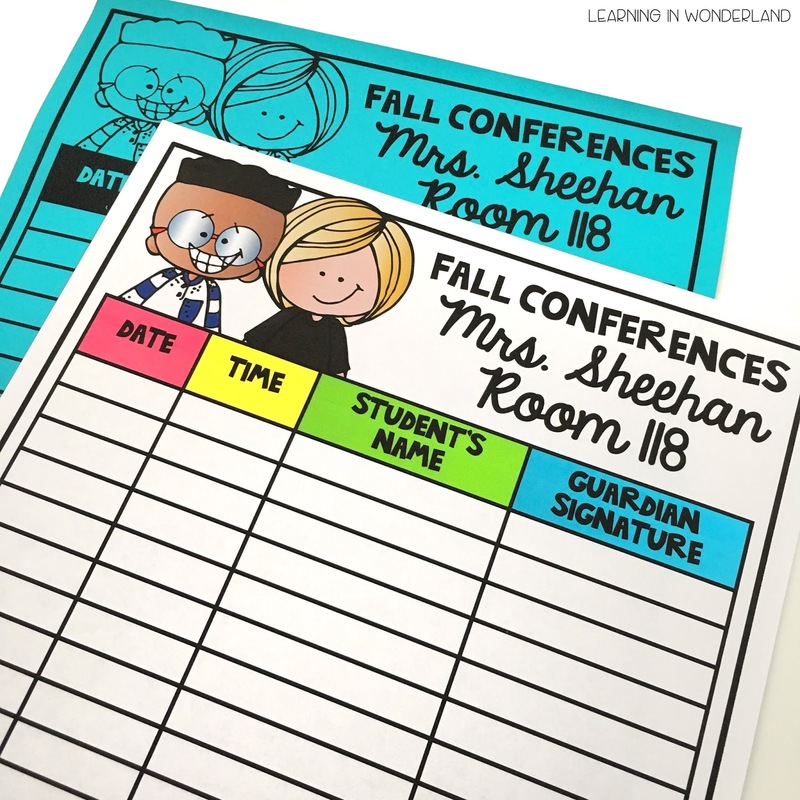 Have parents sign in as soon as they enter the room. I used to have them sign when we were done but I would sometimes forget all about it. This simple tip will save you a little stress when you have to submit it. Do you have any students that work with teachers outside of your classroom? Let them know when that child's conference will be. Our interventionist and resource teacher love to meet with parents and share progress that they are seeing. I hope this post helps your PTC night run a little smoother! 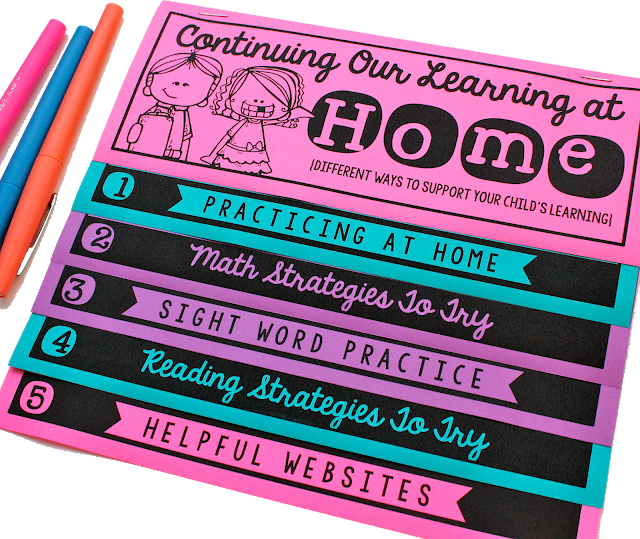 If you would like to pick up these resources, they are bundled together for big savings! 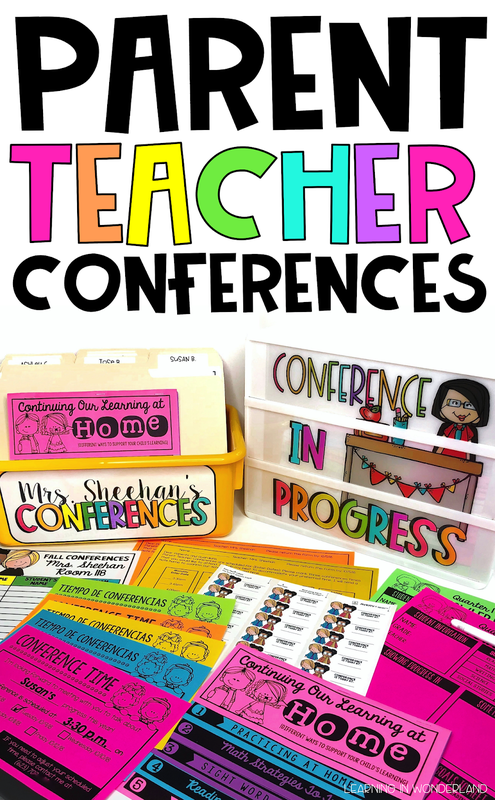 Click on the image below to get conference ready! Don't forget to pin this image to refer back to during PTC time!